This year, spread holiday cheer in style! 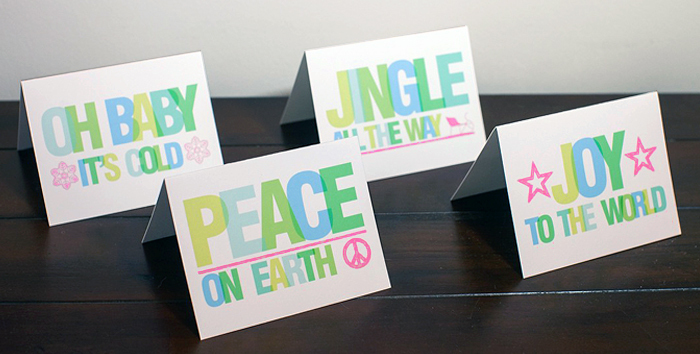 These modern holiday cards pair cool shades of green and blue with classic holiday messages and are a sure to bring a smile to your loved one's face. They are perfect to send in the mail or attach to a special gift. Happy Holidays!! !